The Cascade Blues Association, like many non-profit organizations its size, is made up of members and especially volunteers. We are only as strong as those volunteers who help us throughout the year, either at events or serving on our Board of Directors. Each year, the membership is invited to elect the new Board Officers in December. As of the past few years we have held a very small Board, currently we only have seven people, which means that these individuals are putting in a very significant amount of time and energy bringing everybody the events and happenings expected from the CBA every year. We can have up to fifteen people on the Board. I know of one similar blues society that has close to twenty people serving on their Board currently. Imagine how much more we could accomplish if we had that many people. The more we have, the easier it is for all of us to get things done. With more people we can expand our visions. We can go after grants, we can do marketing to help us gain more attention for our blues community, member drives, fundraising, and we can come up with even more ideas to make the organization stronger. Our events do not have to be run by Board members. We are open to volunteers taking on the lead for events that we have. That was the case with the original organization of the Rummage Sale with Rae Gordon taking the helm the first few years and Cherie Robbins this year. It is a lot of work and we need to thank them for bringing their assistance and lead to us. So often I hear it said that the CBA is a clique. That we support the same acts and nobody else. That is nowhere near the truth as we try to support everybody as much as we can. 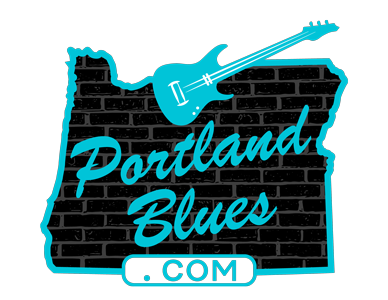 The BluesNotes for example is a labor where we attempt to seek out all special events and touring artists to let you know what is happening. That outlet is put together by only four people for the most part from writing through editing and publishing. It is time consuming and we have asked for help numerous times. And we offer the Bandstand for acts to promote their events themselves at no charge. Then look at the calendar. Without that how many gigs might go unnoticed? If these two outlets are not utilized then you’re doing a disadvantage to yourself as an act. If you believe that the CBA is a clique, make a difference. Join the Board, run for an elected position, write for the BluesNotes, volunteer. You can help make a change, but if you just sit back and vocalize your dislike it will not make improvements that you may envision or expect. It takes a lot more than just a small handful of people to accomplish that. Each Board member has but one vote for any new project or idea, so you can make a difference by becoming a part of it. In the long run, the CBA belongs to its members. The purpose is to promote our local blues community. All of it. We have a large membership, those on the Board can be overwhelmed with so much going on with its current size. You can’t expect much change from a small group trying their best as volunteers to keep up with all expectations every year. They are not gaining anything from doing this, no free perks or reimbursement. It is all done for their love for and desire to see the blues community enriched and recognized. With as many members that we have, there should be more willing to step forward to contribute. We need your help. Please.